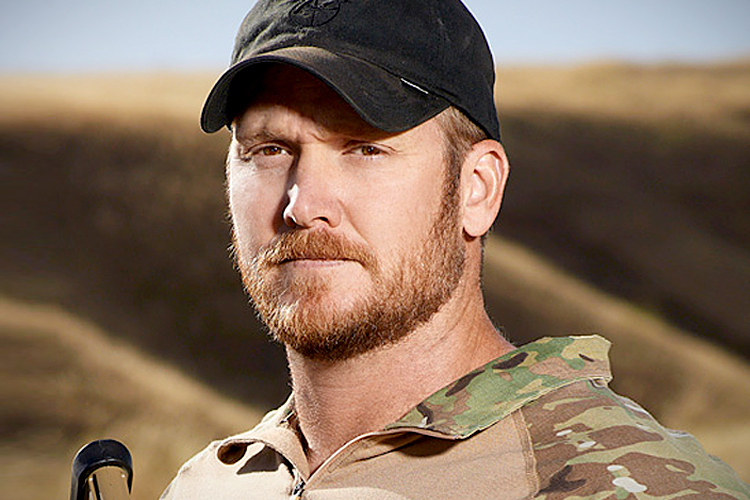 Chris Kyle: a true hero? Is Chris Kyle a hero? American sniper Chris Kyle (1974-2013) is considered the deadliest sharpshooter in United States history, though he claimed others were more talented than him, like Carlos Hathcock. He began his training with the Navy, after being declined initially due to an arm lesion, where he specialized in the Basic Underwater Demolition SEAL school. He toured four times and served in major battles in the Middle East. Such was his reputation as a fearsome sniper, that he earned the nickname “The Devil of Rahmadi”. However, he was not free of danger, as twice, enemies shot him, and he encountered IED (Improvised Explosive Devices) explosions five or six times. A bounty, ranging from twenty thousand dollars to the lower part of one-hundred thousand, became the ultimate prize for anyone that eliminated the dreaded sharpshooter. In total, he killed a confirmed 160 people including, according to his biography and pictorial depiction, a woman. This made him the most prolific sniper in U.S. history. Other snipers with remarkable records are Billy Sing (150, during World War I), Ivan Sidorenko (500, during World War II), and Zhang Taofan (unconfirmed, 214, Korean War). All of them having received Hero status in their respective countries. Listening to interviews with Chris Kyle provided a different intake into what seemed to be a killing machine. The movie provided a moment of reflection, in which we saw the shooter as a troubled individual, not invincible to conflicts with family and life back home. In a charming, and human, interview with host Conan O’Brien, there was a candid, humorous Kyle. On Newsmax, I saw a more patriotic self. It is worth highlighting that this was a light interaction, merely touching subjects which are commonplace in military personnel interviews. The host did not dig deeper (for a variety of reasons) into perhaps controversial topics. The acts of violence. Kyle killed people as means of a job. His job. Therefore, he was responding to acts of violence with violence. Is this the appropriate measure? This essay does not talk of Chris Kyle as an individual. His struggles, his successes and his weaknesses are all personal: I cannot say he was a good father or a bad husband. This is outside my reach. Having said this, I am completely against war. The confabulation of armed conflict in cinemas is not real life. I am against the idea of men having to kill other men to prove a point, be it impose justice, democracy–as contradicting as it sounds–or a religious stance. So, Chris Kyle killed 160 people. Just like many other soldiers, he was treated a hero after his death. A procession of hundreds of miles from Midhoan to Austin followed. In his biography, the shooter explains how he felt no regret about the lives he took. He did express regret about not having killed more. “No, sir, not at all,” he responded to Toby Harnden of the Sunday Times, “to be honest with you, I wish I’d killed more because every kill saved American lives and that was what I was out there for.” It is clear that Kyle had his purpose defined. Also, he fought in a war in Iraq, a country that now people understand was not related with any of terrorist attacks in 2001. In fact, Iraq was at a civil war at the time, between two factions: Shiite and Sunnite. The relation between this civil conflict and the threat to the Allies and the safety of U.S. has been hard to justify. So, to what extent can one country invade another as an excuse to preserve its safety and integrity? What is the difference between patriotism and proper defense of the nation? After his tours, Kyle dedicated his time to helping veterans with PTSD, or Post Traumatic Stress Disorder. This is a topic of importance as the psychological consequences of war have stricken not only the soldiers, but families, and entire populations. If war veterans are so respected, why are so many traumatized individuals who fought for the nation’s integrity in poverty and in dire mental health? In fact it was while helping a troubled soldier that he died. As one of the most famous individuals as of late, given the success of the film American Sniper and the book’s reception, controversy has surrounded him. The shooter himself expressed, in his final days, that he did not enjoy much of the coverage regarding snipers because it seemed as though: “they are trying to increase recruitment numbers”, or the opposite, trying to shoo possible volunteers, depending on the way war was covered. It’s clear that the film and the shooter’s strange death have drawn up conversations, both in praise and in criticism. So, back to the question, is Chris Kyle a hero? The country celebrates violence, because a man that killed 160 other humans is considered a hero. So, the soldier that went out there and never fired his gun, is he also a hero? Then there’s the fact that Chris Kyle passed away.The mysticism surrounding an individual that is no longer with us, allows to elevate them and absolve them (or impose) of negative connotations. Heroes, for me, are people who save lives. Hence can we compare him to firefighters and paramedics, who fight to save lives everyday? He is a soldier, so is every soldier from every country a hero? He is a sniper, so should we celebrate other snipers, as the Russian and Chinese sharpshooters mentioned above, as heroes? Was Chris Kyle just doing his job? Was he a true hero for defending democracy? Or was he just a murderer with permission to shoot? I believe in Hero’s. A hero is a person who leaves their personal desires aside and does what is right or what is needed. If we focus on today’s situation of how the middle eastern and african nations are creating terror for their own civilians not to mention the rest of the world, we must come to understand that they don’t take kindly to reasoning. I am afraid that there are humans on this planet that only understand at the edge of a blade or the end of a gun. These people don’t accept modern concepts of human society. They can’t. Think of how settlers dealt with dangers like snakes and predators? They took care of them, so that the future wouldn’t have to. That is what we call progress. That is what they call sacrilege. Who is correct? You decide. I would be proud to wave a flag for a hero like Chris Kyle. I always like our conversations. Even when we don’t see the same way. Thanks for the response. Indeed, and there is no way of hiding it, some people do not take to reasoning. For me this is not cause enough to be proud that you coerced others into reacting (or submission). I completely agree with you that a hero is one that leaves his or her personal desires and safety for others, such as firemen, policemen and paramedics.